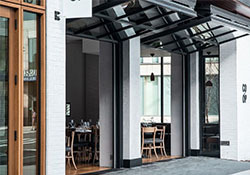 "Offering a fresh perspective on urban dining with an emphasis on seasonal and local ingredients. Our menu is honest, flavorful and inspired by the maritime and agricultural community lifestyles of the past. CO-OP Restaurant & Lounge brings a new energy and connection to the neighborhood."